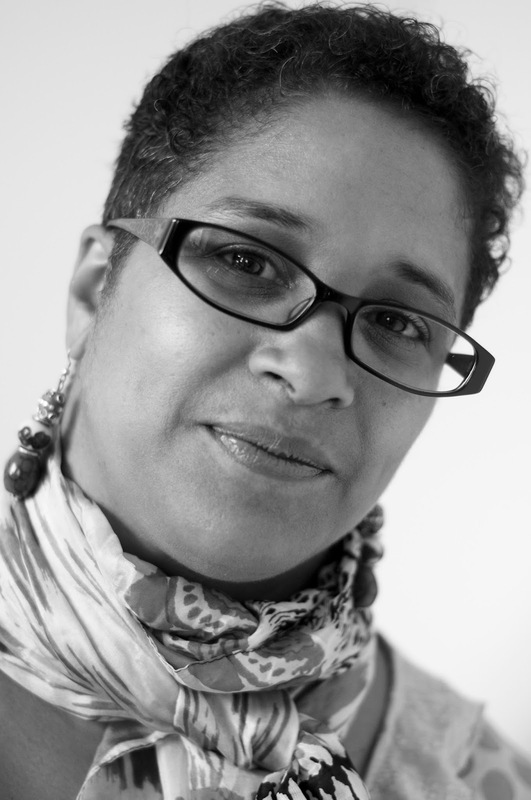 Yvvette Edwards was born in Barnet and grew up in the London Borough of Hackney. She continues to live in East London with her family. In an interview with Words of Colour, Yvette told how she first started writing after the death of Elvis Presley when she was 10 years old. Her mother and relatives at the time wailed as if a family member had died, so it was a way of working through the grief and trauma. She is a lover of stories of all kinds, and can sometimes be spotted frequenting the cinema and theatre, or wearing sunglasses and crouched low in shady corners suited to eavesdropping. Yvvette only started to take her career seriously at 40 years old. Her first book, A Cupboard Full of Coats – the story of Jinx whose mother was stabbed to death in their East London home – made a big literary impact and was longlisted for the Man Booker Prize. It went on to garner numerous other nominations, including the Commonwealth Writers’ Prize, the Writers’ Guild Awards, the Hurston-Wright Legacy Award and the Waverton Good Read, and won the Kirkus Best Book of the Year Award. 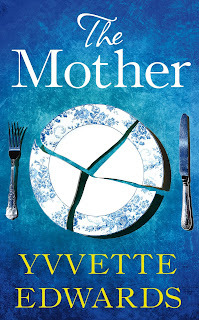 Yvvette Edwards' second novel, The Mother, tells Marcia's story. Marcia is heading to the Old Bailey. She's going there to do something no mother should ever have to do: to attend the trial of the boy accused of her son's murder. She's not meant to be that woman; Ryan, her son, wasn't that kind of boy. But Tyson Manley is that kind of a boy and, as his trial unfolds, it becomes clear that it's his girlfriend Sweetie who has the answers Marcia so badly needs and who can - perhaps - offer Marcia some kind of hope for the future. But Sweetie is as scared of Tyson as Ryan should have been and, as Marcia's learned the hard way, nothing's certain. Not anymore. The Mother has been described as 'stunning' and 'masterful' by author Irenosen Okojie (Butterfly Fish) for its depiction of the harsh realities facing families who have lost children to knife crime. You can hear Yvvette Edwards as she is interviewed by Joy Francis, journalist and executive director of Words of Colour Productions, Thur 31 March 2016, 7pm-9pm Waterstones Piccadilly, about her unconventional writing journey, why it took 40 years for her to commit to a career as a novelist, the challenges of writing authentic female characters of colour and her love of editing. Book here. 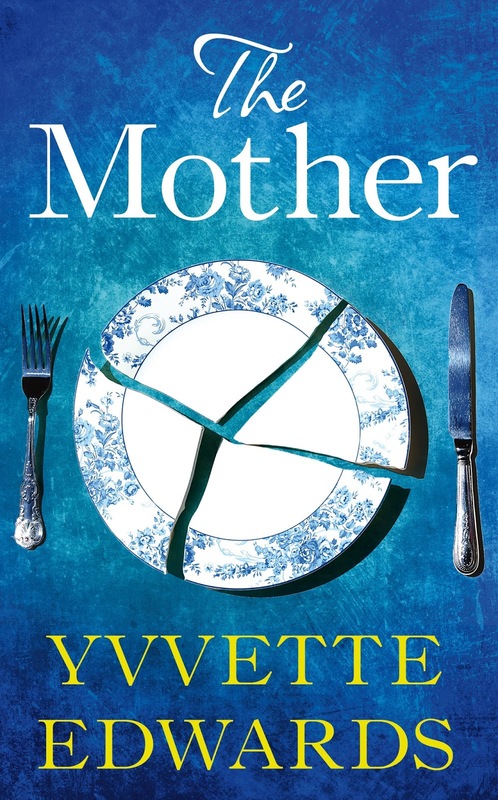 We thank Yvvette for participating in our Conversation and wish her every success with her new novel and look forward to seeing more of The Mother in the future. I never seriously believed I could make a living from writing. I never met anyone who did till after my first novel was published. Yet reading and writing have been my favourite hobbies from as far back as I can remember. I wrote because I enjoyed it and I found the process to be cathartic. It was my refuge throughout my formative years and into my adulthood. I wrote about whatever caught my attention in that instant and I didn’t edit when I got to the end. Occasionally I sent these bits of unedited work out into the world, and when they came back with rejection letters attached, I wept, put them to one side, and started work on something else. Then, in the run-up to my 40th birthday, I found myself really thinking about my life. I hadn’t particularly carved out a career for myself, and I had no ambitions to. The only thing I really wanted to do was write. I decided it was time to either focus on building a practical and realistic career, or do the writing properly so that maybe I could earn a living from it. I reduced my hours at work and wrote A Cupboard Full of Coats. When I finished the first draft, I edited it. The rest is history. 2. How do you see your role as a writer and what do you like most about it? I write because I love reading and stories of all kinds. I want to write the kinds of novels that I enjoy most, the ones that take the reader on an emotional journey. I want to be so deeply immersed when I read that I experience the journey and understand the characters enough to empathise with them, even if I don’t agree with what they do. I am particularly interested in strong and fully-fleshed female and Afro-Caribbean characters, perhaps because I am a woman and my family are from the Caribbean, and too often they are presented as caricatures and stereotypes. If I have a role as a writer, maybe it is stripping that back to reveal the real people beneath, giving true voice to people we do not hear enough from - if at all - in modern literature. 3. Have you ever created a character who you dislike but find yourself empathising with? I don’t think I dislike any of my characters and that may be because I always empathise with them. To be able to write about them, I have to understand where they have come from and what’s shaped them and once I know that, I’m empathising. I don’t generally see things in terms of black and white. My mind inhabits the grey areas between. Most people are not simply good or bad, but degrees of both. I don’t always support the choices my characters make, but that’s what people are like in real life; they don’t always do what you want them to do or act the way you’d like them to. 4. Last October, GW organised #diverseauthorday. What has been your experience of writing about characters of colour? I may be about to run away with First Prize on this question! A Cupboard Full of Coats, although it’s based in Hackney in East London, doesn’t have a single white character in it. I didn’t plan it that way. I created characters I identified with, and because there are not that many characters in the novel, it just happened they were all Caribbean or of Caribbean descent. My newest novel, The Mother, which is also London based, has a wider cast of characters from all walks of life and is, I think, very representative of London’s diversity. Again, that wasn’t a result of conscious intent, but I like to think that one of my strengths as a writer is realism. It’s impossible to ignore the fact that London is an incredible social mixing pot, and The Mother reflects this. 5. If you could be transported instantly, anywhere in the world, where would you most like to spend your time writing? And why? I would have to be comfortable, so a house with a large veranda, comfy chair and footstool. I’d want access to lots of good local wine and natural produce. It would need to be close enough for my family and friends to pop by for a visit, and so I could travel back and forth to London easily. It would have to be somewhere hot and breezy, so on a coast somewhere. I would need there to be movement in the ocean, not stillness, lots of crashing waves that I could see and hear all the time. Somewhere along Portugal’s Silver Coast, where the winds are high and the waves perfect for surfing would be ideal. I have an affinity with water, I don’t know why, maybe because I am Piscean. I have difficultly quieting my mind sometimes, but it would be possible in that setting. In my dream writing place, the writing would flow, and if it didn’t, I’d simply doze. 6. What is the one book you wish you had written? Toni Morrison’s Beloved. It is such a complex, profound, lyrical, heartbreakingly beautiful novel, a book for re-reading. Every time I re-read Beloved, my understanding of the novel increases and I discover in the writing something else to admire. It is a magnificent achievement that will forever stand the test of time. If I had written Beloved, I would probably have spent the rest of my life laughing aloud and patting myself on the back. 7. What advice do you have for would be novelists? Read! Read a lot and widely. Read novels you love and ones you don’t. Learn what works for you as a reader and what doesn’t. It’s important to be as specific with yourself about what you admire in the writing as what you don’t. Experiment widely with your reading and your writing. Try different styles and genres. Write regularly. Approach writing passionately and recklessly. Push yourself out of your comfort zone. And finally, enjoy the process. If it feels like a slog for you, it’s possible it may feel like a slog for your readers. 8. What are you currently working on? What can we look forward to reading? I have a few ideas I am mulling over and refining in my mind, but it’s too early to discuss them at the moment. In the interim, my newest novel, The Mother, is being published on 7th April in the UK (and 5th May in the US). It is the story of a sixteen-year-old boy, Ryan, who is a stabbing fatality victim. The story is told by Ryan’s mother, Marcia, as she attempts to understand why her son is dead, hold the remainder of her life together, and attend the trial of the young boy accused of his murder. It’s my attempt to explore some of the issues around young people and crime in society today, and I like to think it’s both timely and relevant. The Mother tackles some really emotive issues, and I wanted to do that as honestly as I could. I am passionate about voices we don't ordinarily hear from in literature, especially the ones with incredible stories to tell. I'm so pleased that reading it was a positive experience for you. I consider your praise a gift in return.